If I have heard it once, I have heard it one thousand times…. In fact, Samantha and I have said it to our kids over the years. So, a question for us: How has my attitude been lately? I know customers can be difficult sometimes, work schedules can be a problem and coworkers are occasionally a handful. The reality is…we all have the ability of either having a bad attitude or giving someone a reason to have one. 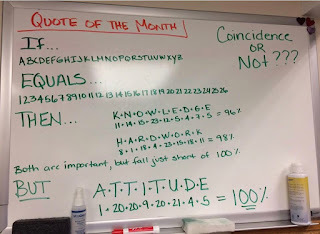 But the cool thing is…we are in control of the attitude we have. Be sure to think before you ask the next question…or give constructive criticism. You may never know what impact you'll have on the person you are assisting. Interestingly, Paul of the Bible made this statement in 1 Cor 10:23 - "I have the right to do anything, but not everything is constructive". No matter what you believe…this is an accurate and true statement…especially as it relates to my attitude. 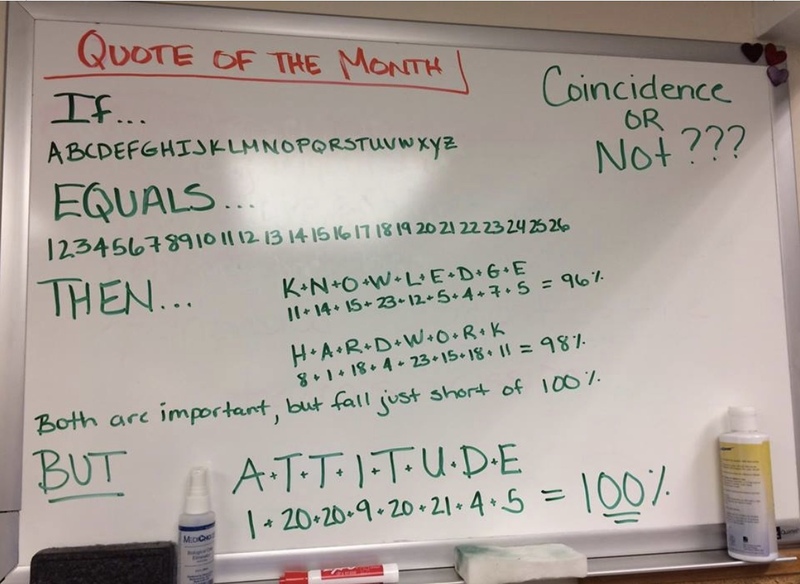 We can have any attitude we want…it just may not be real beneficial or constructive to my neighbor, myself, my family, my career or even my workplace..
Let's commit to having a great attitude both at work and home. Life is much too short for a bad attitude either place.